Foundress Dominican Day is this Friday, February 8! 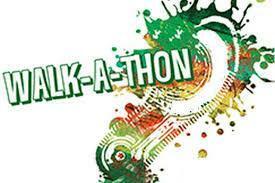 Please turn in your permission slip and walk-a-thon pledge of at least $10 now! Proceeds go towards the school's annual fund while a portion support our Dominican Sister's ministry in Chiapas! Dominican Day started in 2010 as a SGMHS Founder’s Day Event celebrating our Mission San Jose (MSJ) Dominican Sisters’ Foundress Mother Maria Pia Backes, O.P.. It is a day of raising funds for our school and a needy MSJ Dominican Sister ministry/cause. It also raised fun and awareness about SGMHS and our MSJ Dominican Roots. Dominican Day is still a highlight of the SGMHS school year and raises fun and funds for a MSJ Dominican cause however what has helped us grow in our awareness of our MSJ Dominican Sister Heritage who have staffed and continue to support us through affiliation. Dominican Day includes a prayer rally, walk-a-thon, and picnic celebration. Who is Mother Maria Pia Backes, O.P. ?